Shin asked me what I wanted the book to be called and I really did not know what to tell him. 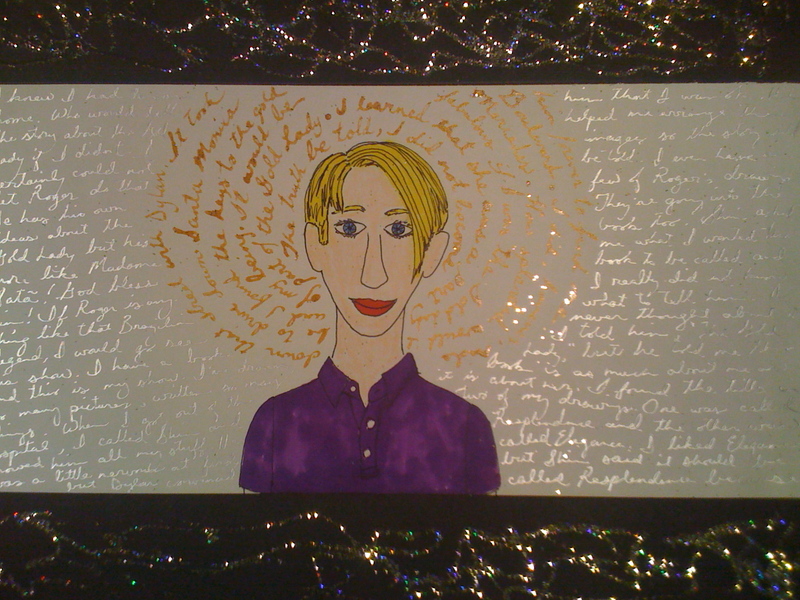 I told him “The Gold Lady,” but he told me the this book is as much about me as it is about her. I found the title in two of my drawings. One was called Resplendence and the other was called Elegance. 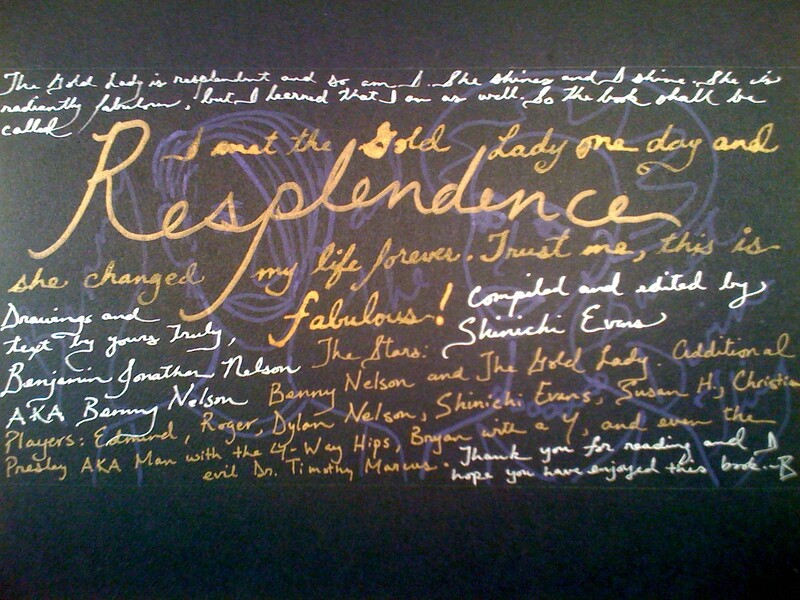 I liked Elegance, but Shin said it should be called Resplendence because the Gold Lady is resplendent and so am I. She shines and I shine. She is radiantly fabulous, but I learned that I am as well. So the book shall be called Resplendence.